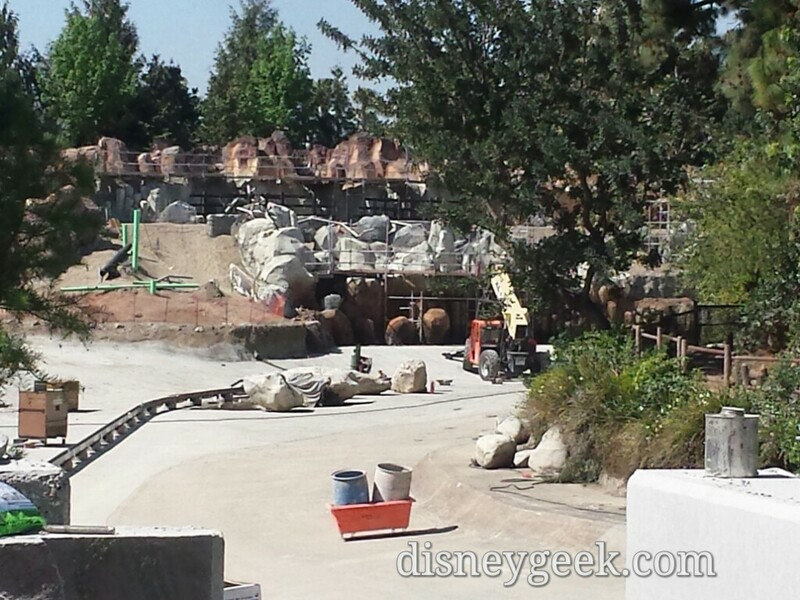 and/or our construction progress section. 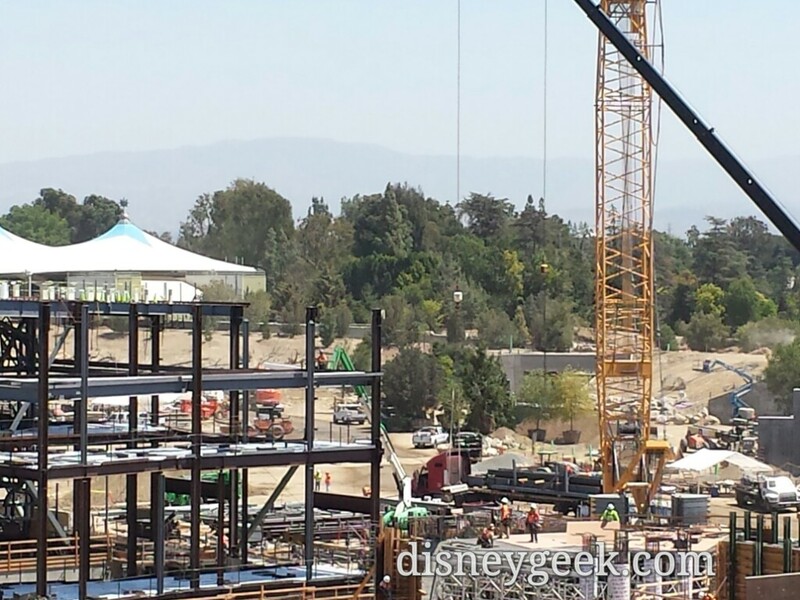 A look across the site panning from left to right. 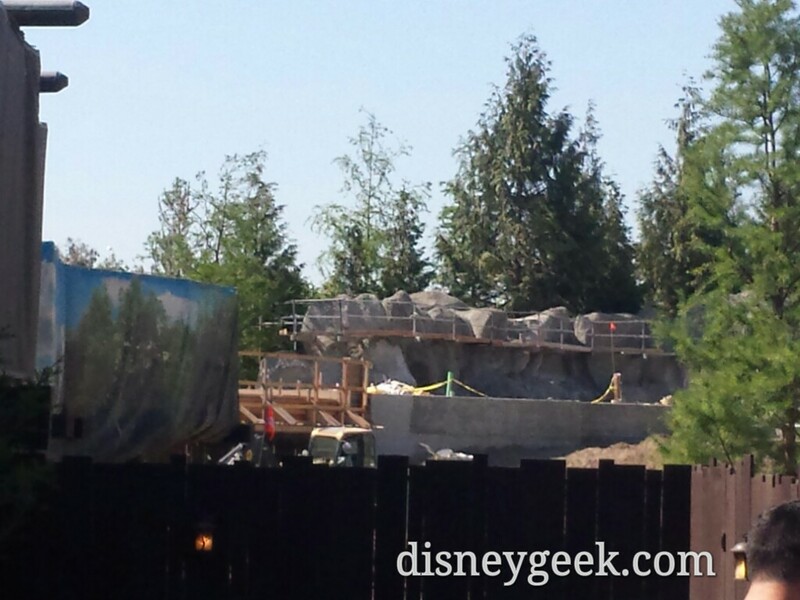 The new bridge in Critter Country still has forms up. 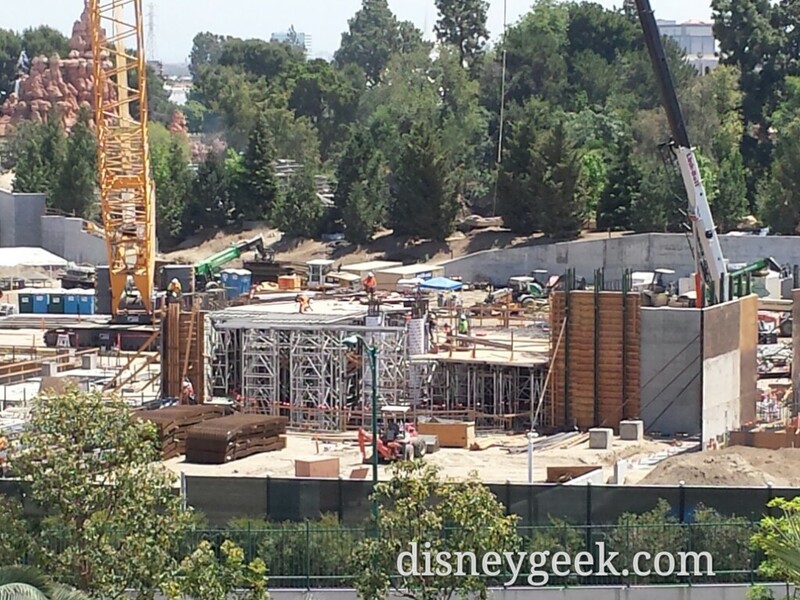 Moving back to the circular structure, it appears to be a spiral connecting the ground and second floor. 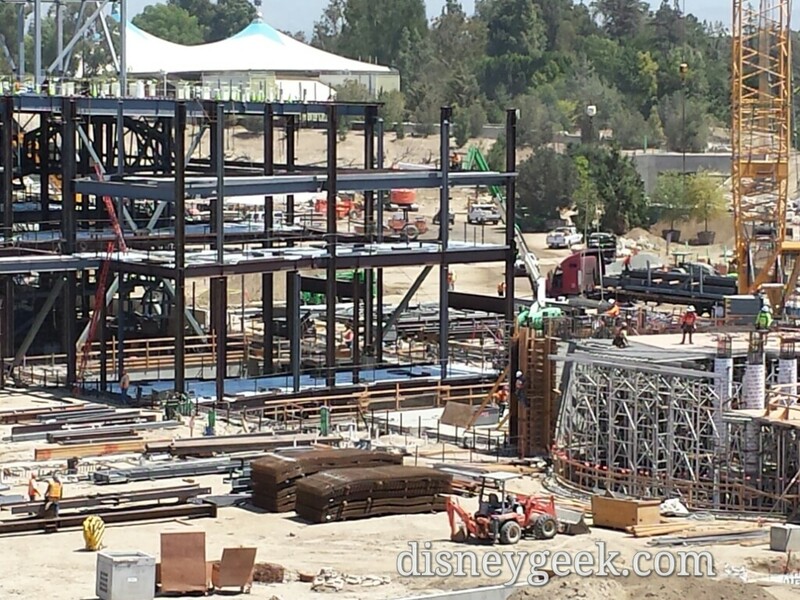 The backstage support building is almost fully enclosed now. 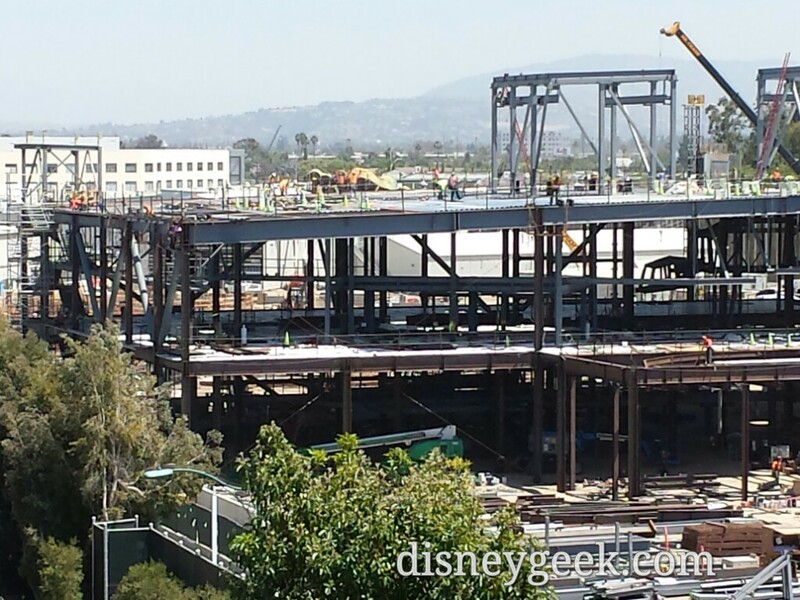 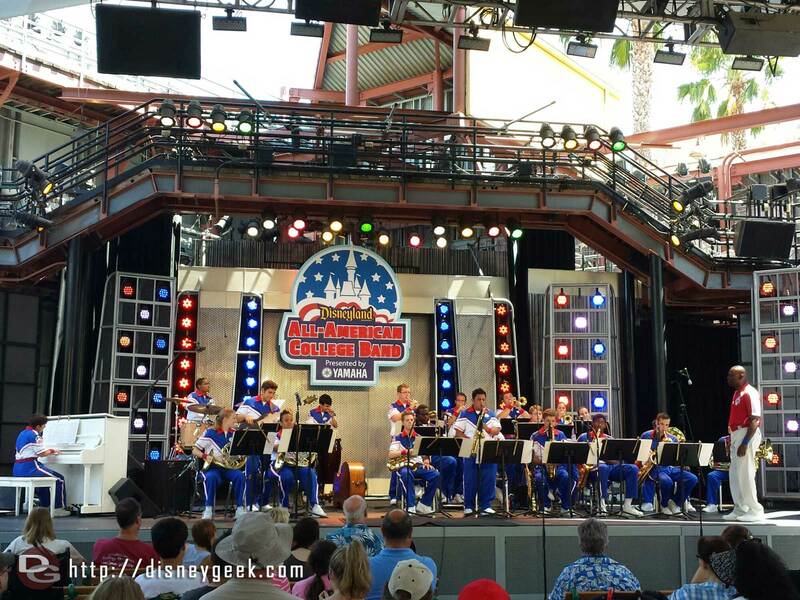 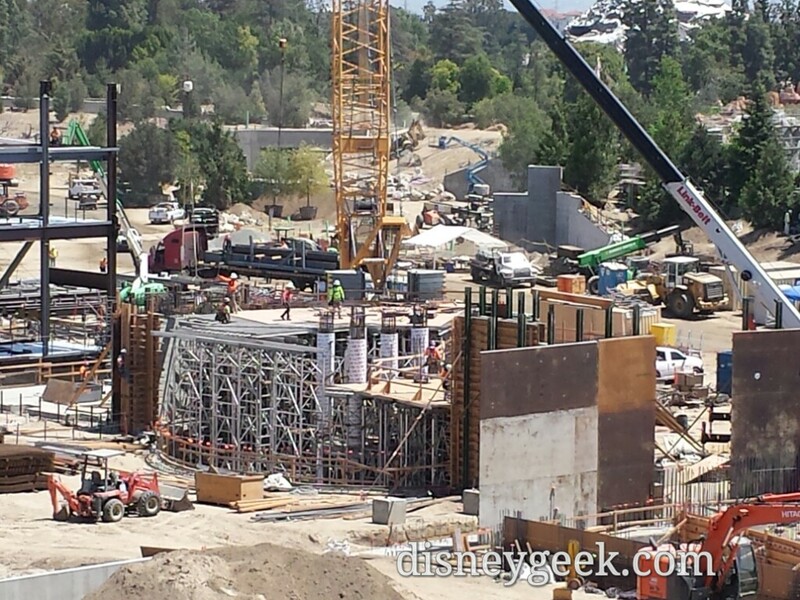 You can just barely make out the forms for the second show building. 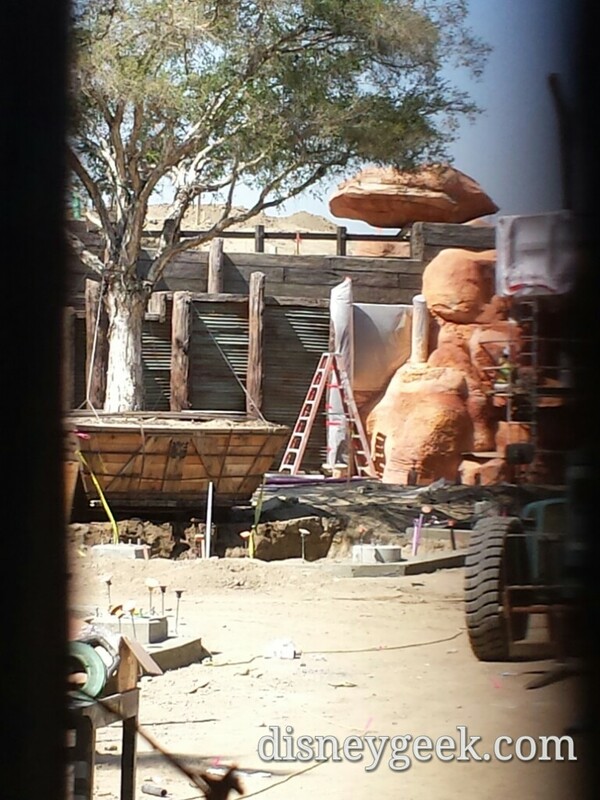 Looks like a pathway over the center of the basement. 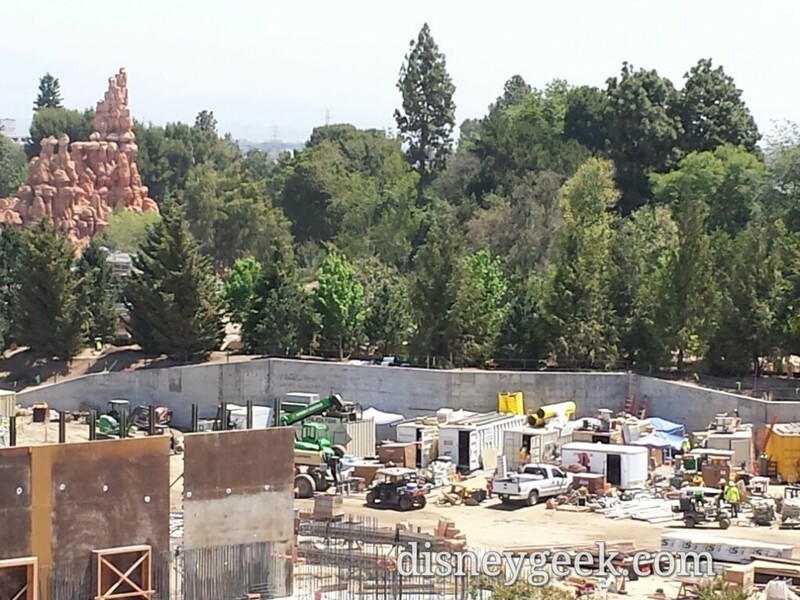 Moving into the park, from the Big Thunder Trail. 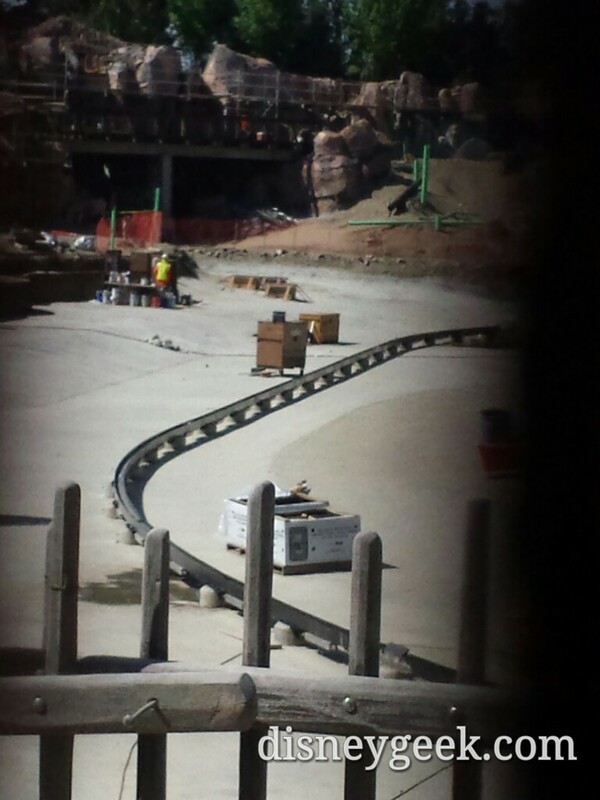 The rail for the boats has been installed for most of the stretch you can see. 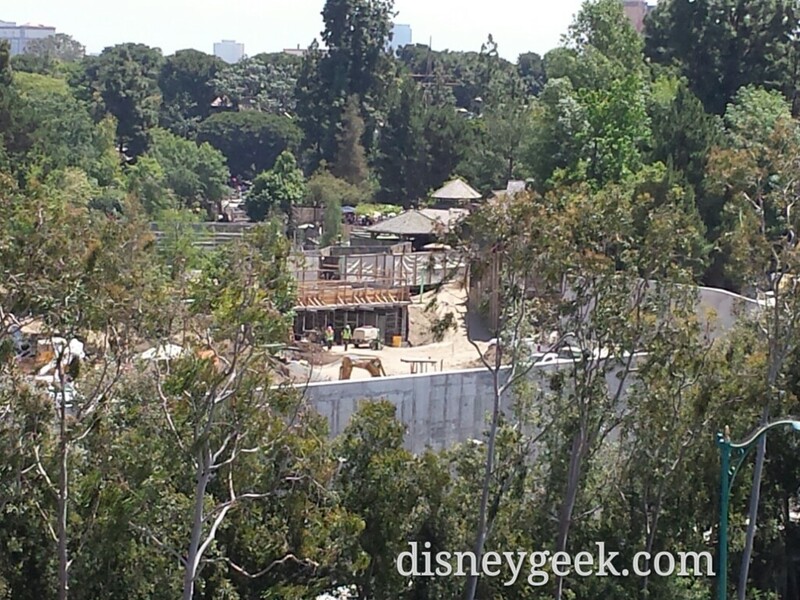 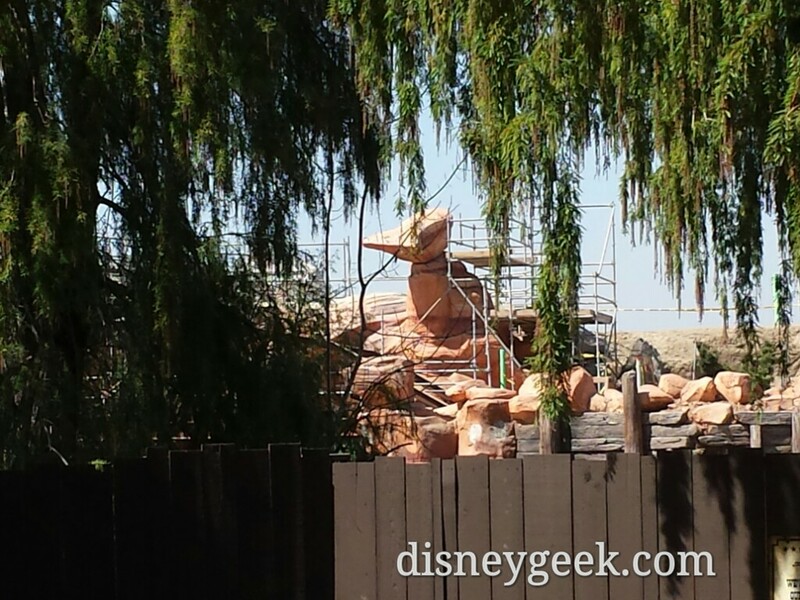 Looks like they are building a bridge from Critter Country leading into SW land? 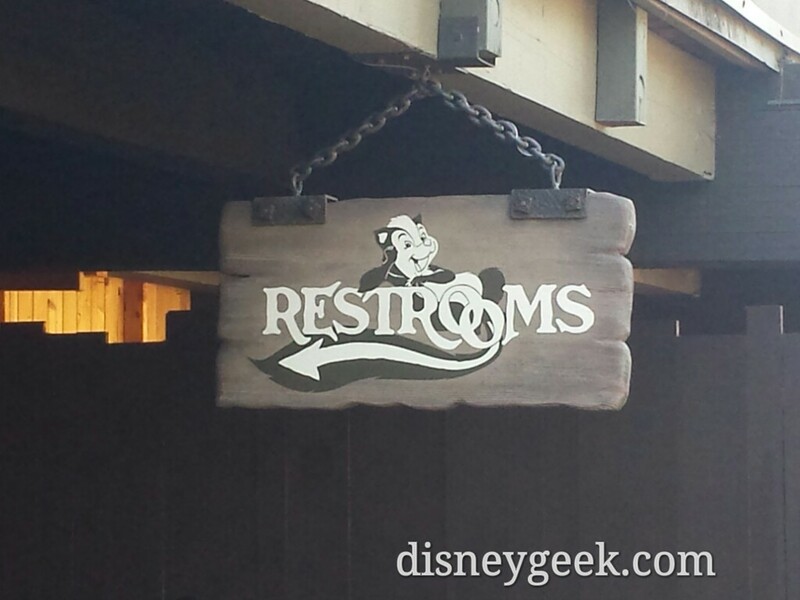 That’s a great idea as a separate entrance/exit. 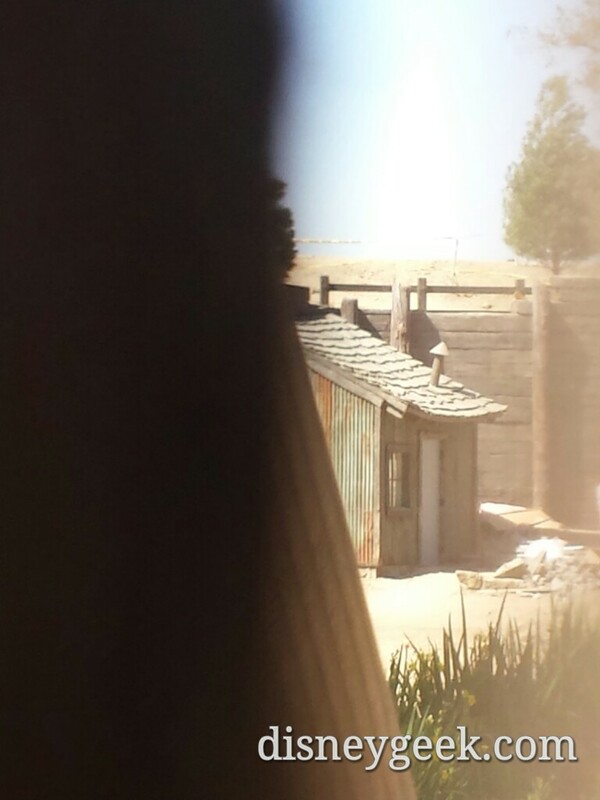 I’ve been worried about them thinking through the schematics of getting people in and out of there. 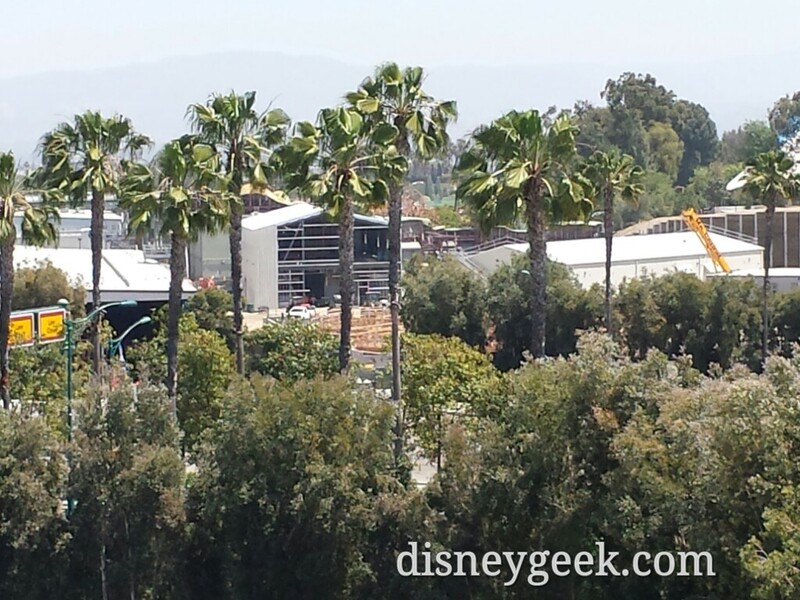 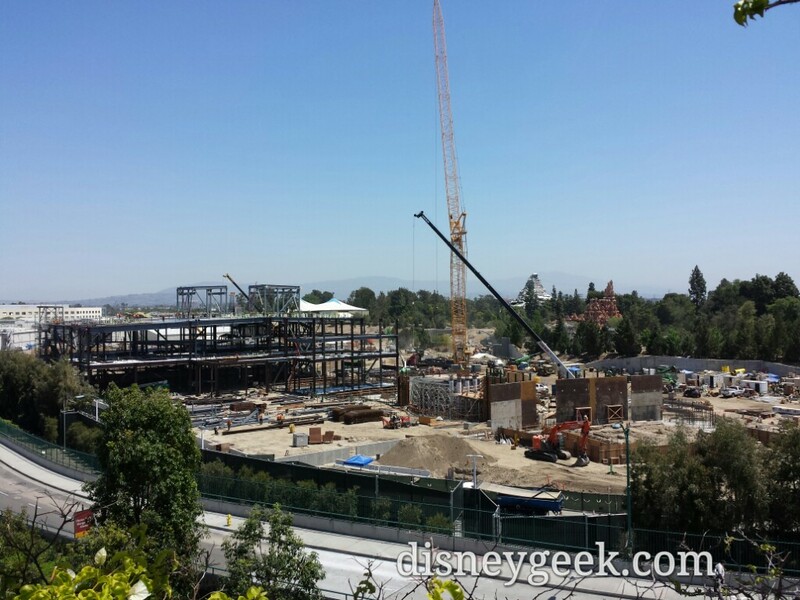 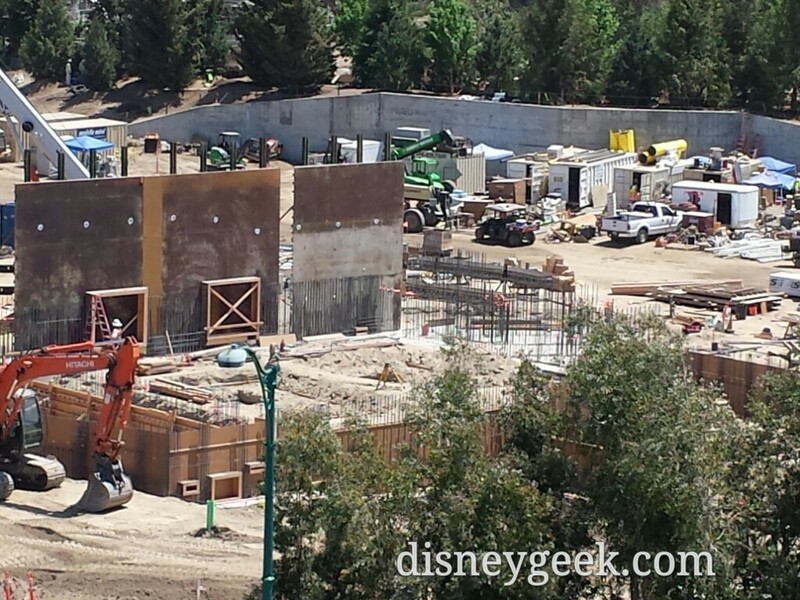 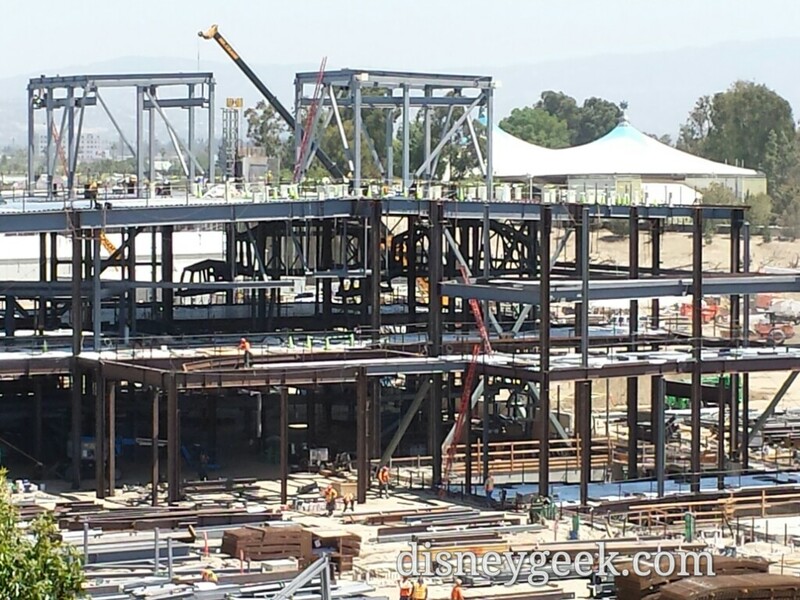 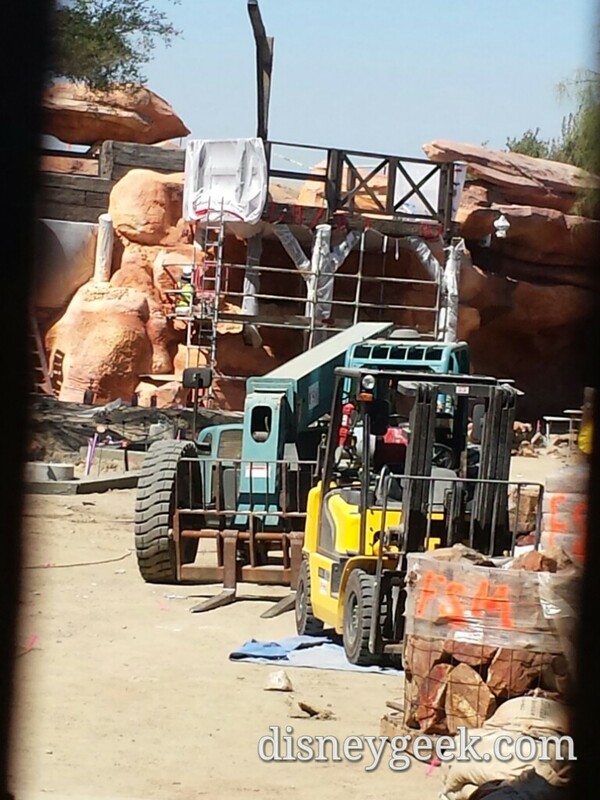 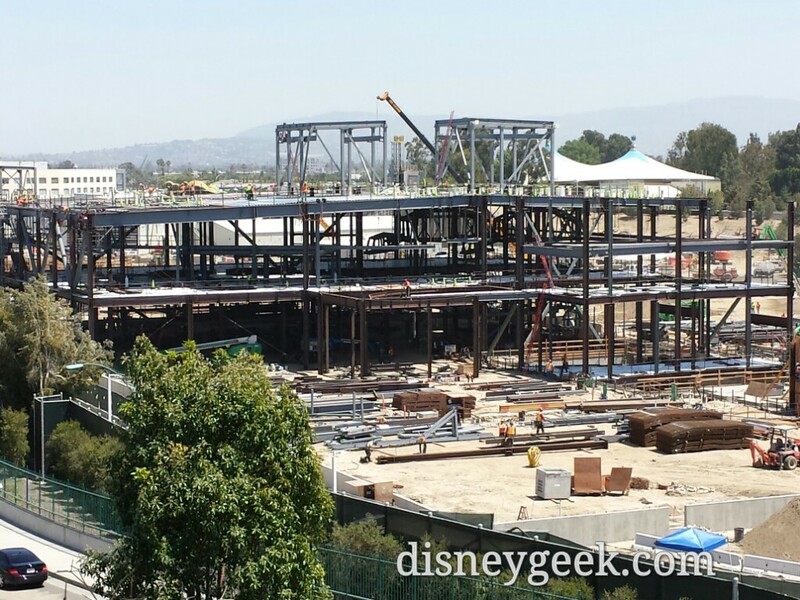 Jamie – There will be three entrances to the Star Wars area. 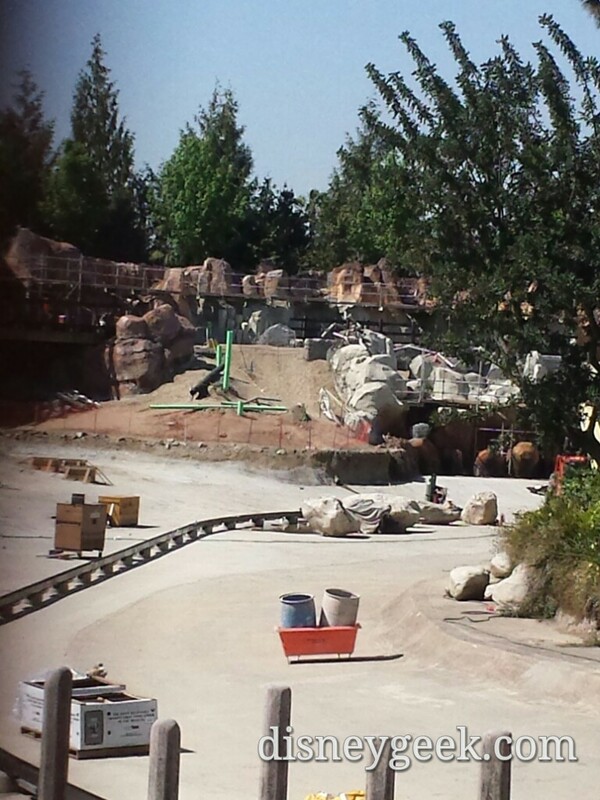 The first two will be off the Big Thunder Trail. 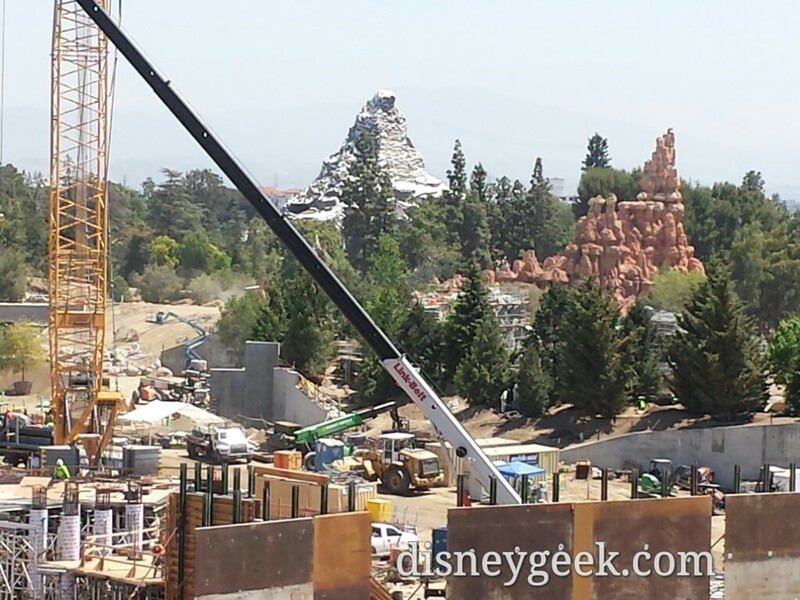 One facing Frontierland and one toward Fantasyland. 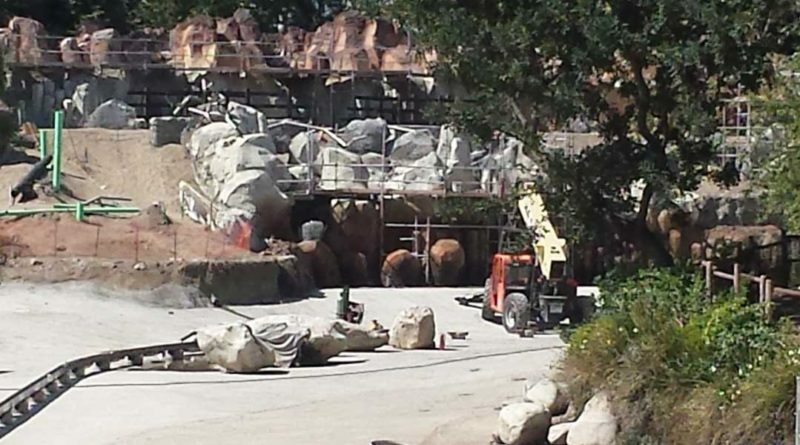 The third will be a walkway from Critter Country. 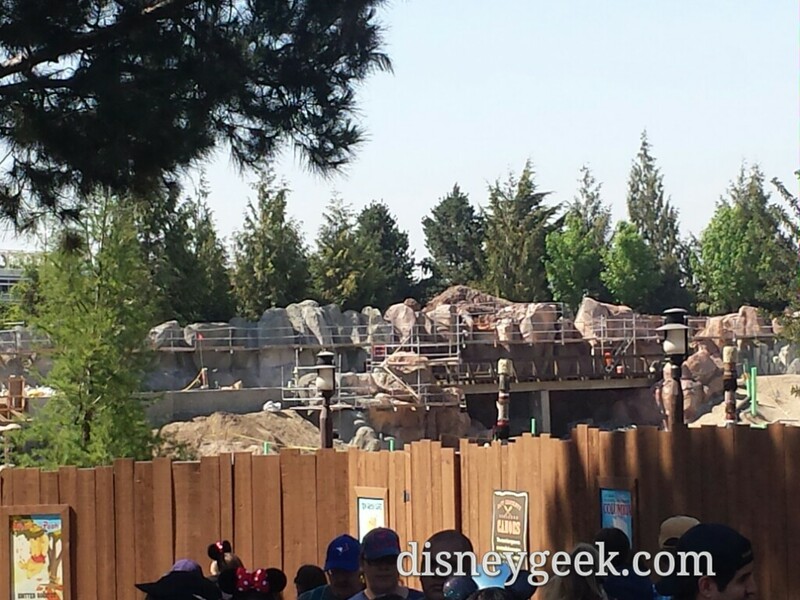 The bridge that is under construction will be for the Disneyland Railroad to pass over the new walkway connecting Critter Country to Star Wars. 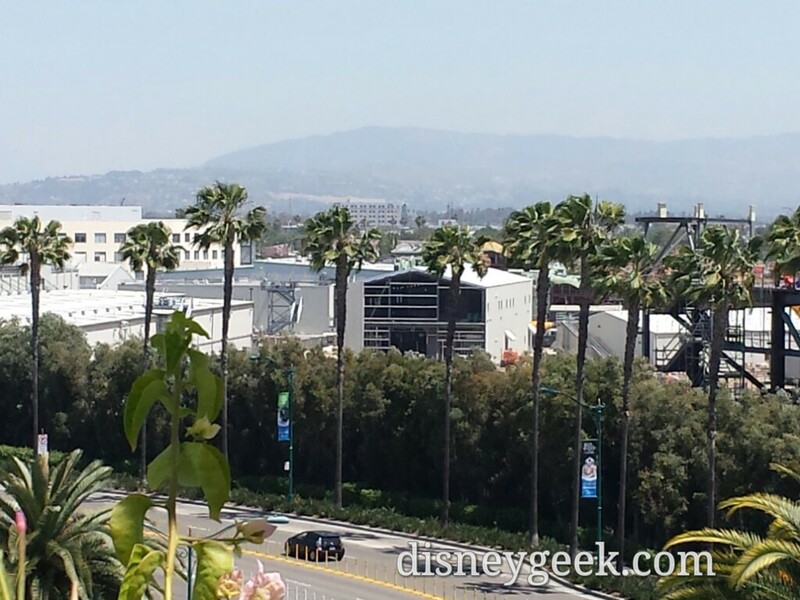 There’s going to be a boat ride? 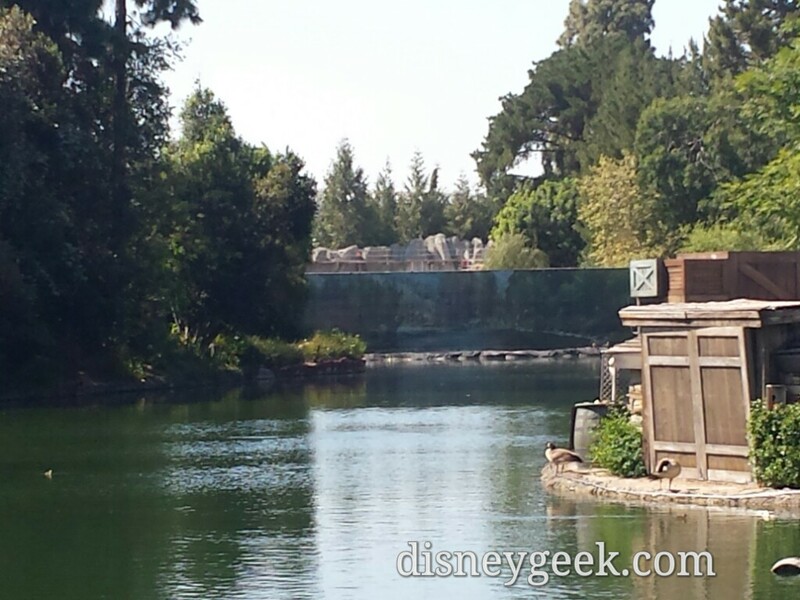 The rail/boat I was referring to in my caption is in the Rivers of America and is for the Mark Twain and Columbia.